The Madone by Trek is an ultimate road bike that fuses aerodynamics, power, superior quality, and integration in order to create one of the best engineered endurance bikes available. The futuristic design is paired quite well with advanced performance, excellent ride efficiency, and high quality component parts. 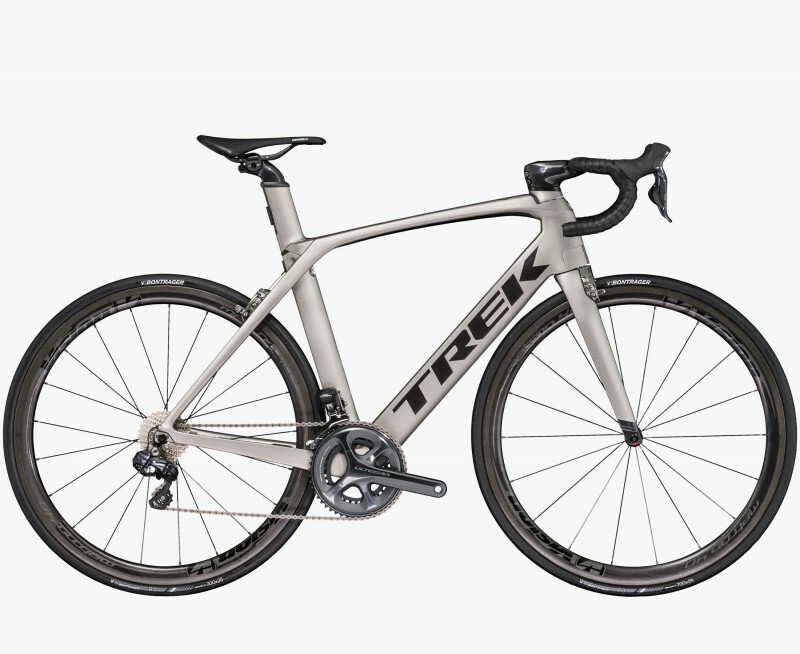 There are 7 bikes in the Madone collection by Trek. Each one is absolutely gorgeous in design and features unbelievable aerodynamics, performance, and quality. You can spend anywhere from $4,499.99 for a Madone 9 frameset to $12,000 for the most advanced assembled model in the Madone line. These cycles are available in a variety of futuristic, attractive colors and a range of sizes. 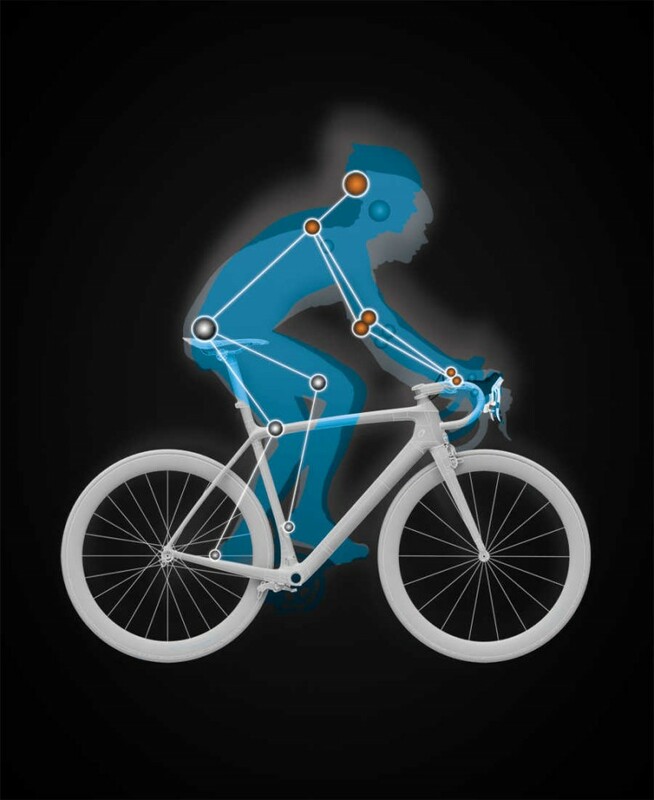 In fact, each bike size is ride-tuned depending on the size — meaning, regardless of the size, each bike will ride the same as one larger or smaller. This is a new standard that premiere brands are getting behind. Even better, the Madone collection does not just feature men’s models, but a Madone frame that is designed for women endurance riders as well. 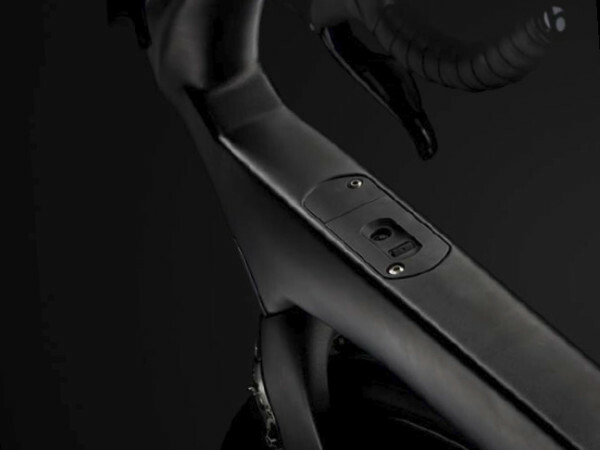 Each of the Madone models has different features based on component parts, but let’s take a look at some of the features and specs that the Madone collection by Trek have in common. Let’s take a look at the frame first. The Madone 9 Series Frameset is made of a weight-saving, performance-enhancing 600 Series OCLV Carbon. This material offers a superior balance of weight and stiffness for performance and endurance racing bikes. 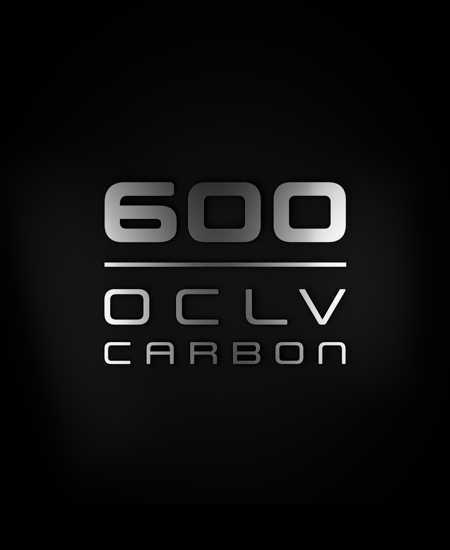 The 600 Series OCLV Carbon is a best-in-class aerospace material that offers incredible “areal weight.” This is a composite industry term for the weight of carbon over a given area. The lighter the material is, the more expertise is needed in order to work it and the more expensive it is to produce. 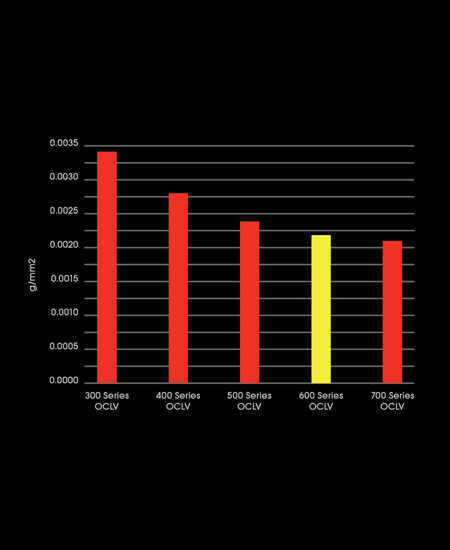 Trek uses 600 Series OCLV, which, as you can see from the chart below, offers incredible lightness and is extremely high quality. Since the weight/stiffness ratio is just right in the Madone series, this means that the rider will experience maximum handling performance, pedaling performance, and a great ride feel. Another huge aspect to any excellent road bike is vertical compliance offered by the frame. 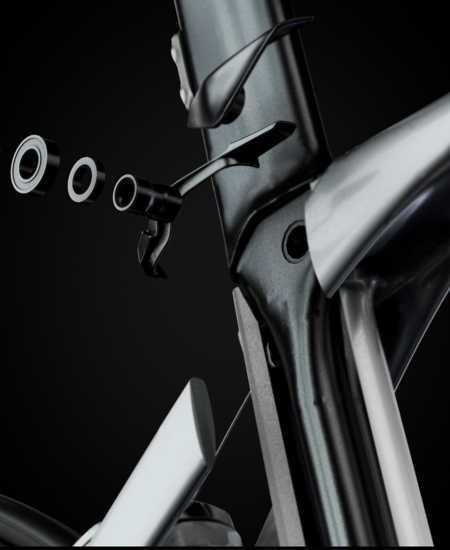 Trek’s 600 Series OCLV is strong and stiff and offers perfect vertical compliance for endurance riders. 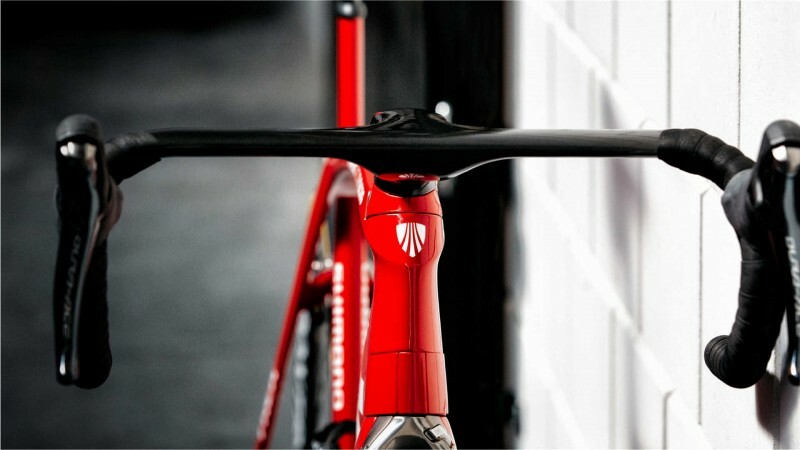 The Madone collection is certainly built for aerodynamics. 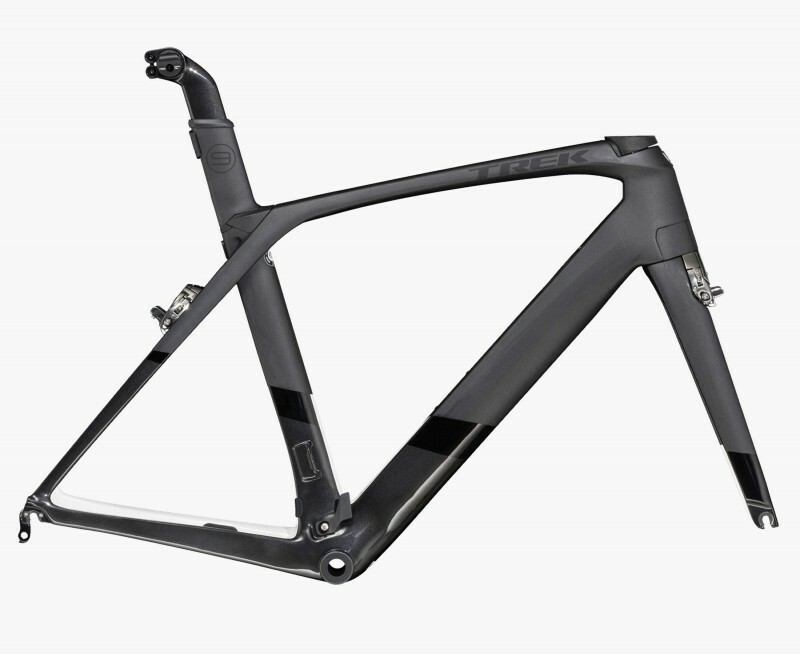 From the KVF tube shape, the KVF fork, the 600 Series OCLV Carbon frame, integrated cable routing, aero stem and bar, micro-adjust seatmast, and other components, the Madone is lightweight with the perfect stiffness, vertical compliance, and aerodynamics available. If just one of these components were changed even a millimeter in geometry, it could alter the speed of the Madone. With these cutting edge parts and design features by Trek, you are certainly getting the best bike for your money. 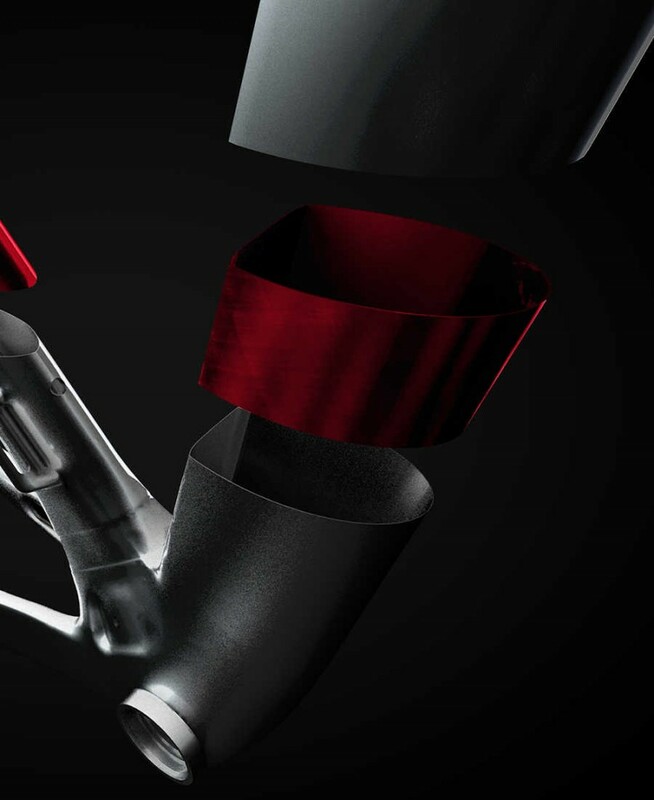 Trek has decided to optimize their tube construction to a KVF tube shape, which complements the Madone bikes’ integrations. KVF stands for “Kammtail Virtual Foil,” which creates a super-aerodynamic frame that is lightweight and on the cutting edge of current technology. 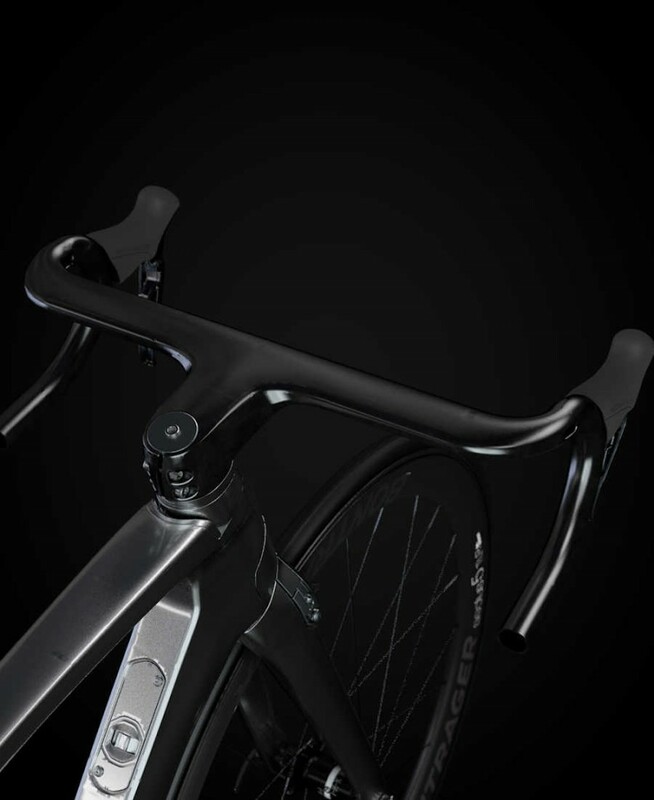 The Madone’s new bar and stem combination is fully integrated into the frame and features a sleek profile with the lowest drag ever developed. The Madone IsoSpeed offers riders with the best vertical compliance and aerodynamics possible. 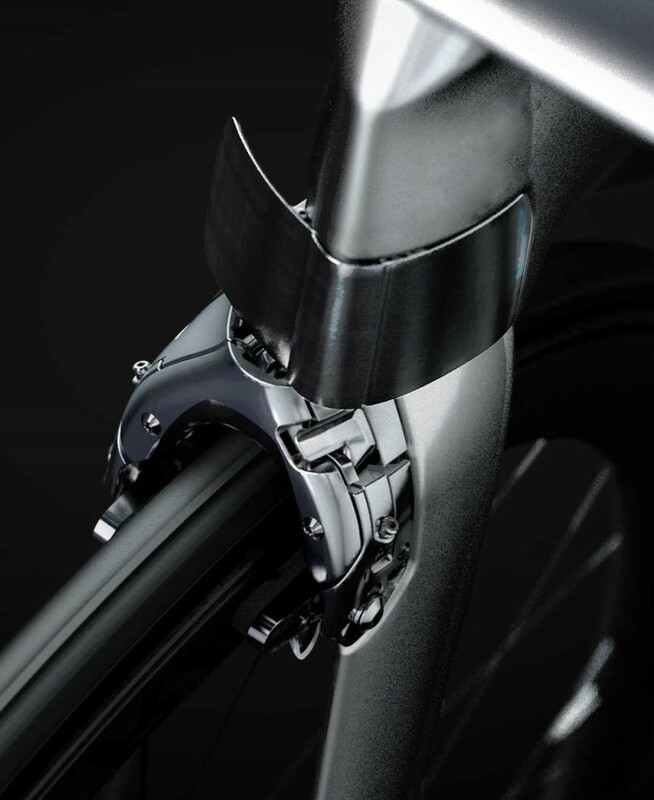 The IsoSpeed Decoupler is somewhat of a surprise to include in Trek’s new series racing bike. This system is different from previous designs that have used tube-in-tube construction. 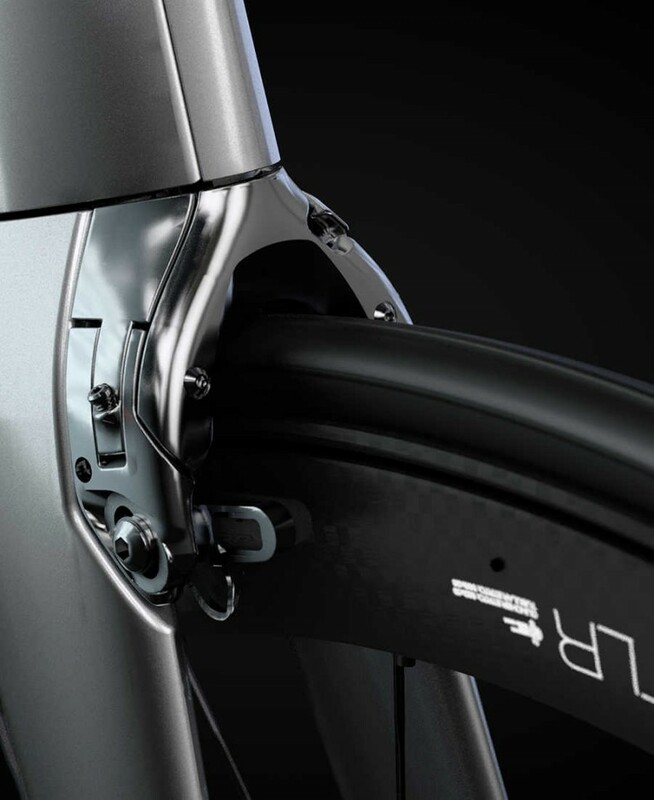 The idea behind IsoSpeed is that the new construction allows the inner tube to flex independently to the outer aero shell, so that it does not interfere with the aerodynamics. The results by Trek stated that their frame is 57.5% more compliant than its nearest competitor (which remained unnamed by Trek). The routing cables are invisible, with the brake and shift cables routed through the frame for the ultimate aero performance possible. Each part is encased and protected in order to form the most aerodynamic design. Trek’s new direct-mount Madone brakes are integrated seamlessly into the frame in order to cut the amount of drag, save weight, and to increase speed. 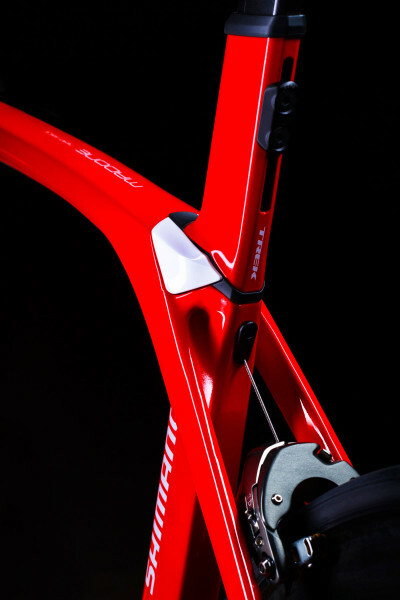 It even adds to the Madone’s incredible and sleek aesthetic. This new Madone even features articulating Vector Wings, which encase the leading cables and front brake caliper into a protective shell. The clean-looking integration theme also means that the bar and stem combo is Blendr compatible for clean mounting of computer head units, if that interests you. In conclusion, the cable routing is completely invisible and continues down to the direct mount brakes, which hides the cable assembly with the Vector Wings. It also looks pretty damned nice. Another new addition to the frame is the micro adjust seat mast. The male seat mast cap slides into the female seat tube and the seat post height is adjustable via a two bolt slider mounted on the outside of the seat tube. The seat mast retains the single bolt from the side to clamp to the side rails and the pitch of the saddle is adjusted with a secondary clamping bolt that is located at the back of the seat head. The separate aft/fore and tilt adjustments won’t allow the saddle to slip under big hits but is easy to use. The Madone is a purist when it comes to braking. 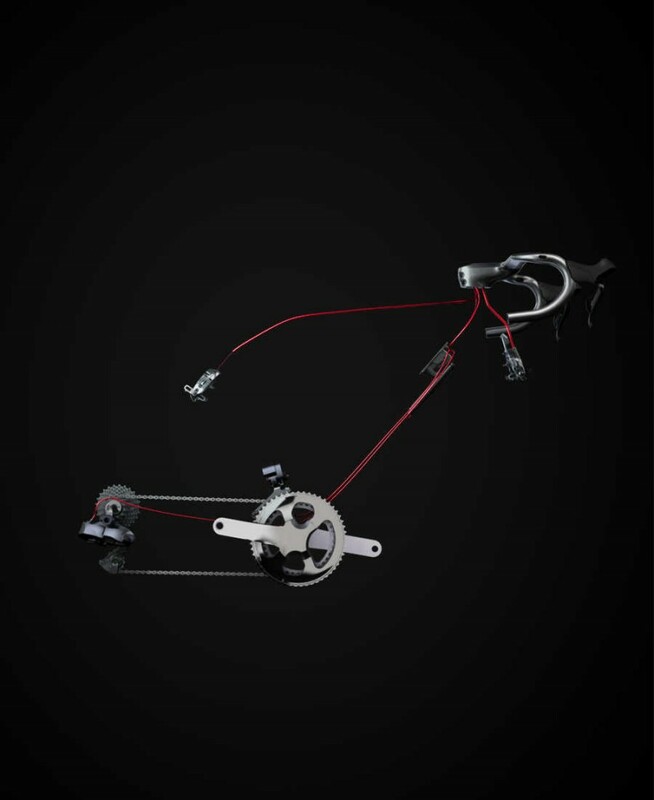 While most other models have made the new trend of dual disc brakes standard, Trek keeps this bike light with caliper brakes. Most riders still prefer them over that of disc brakes, so this is a huge advantage when it comes to marketing. 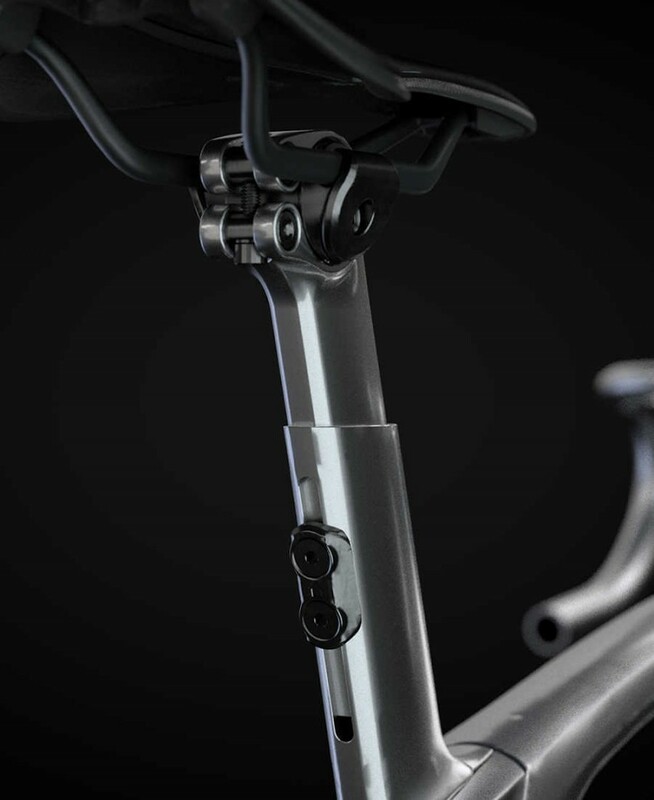 Trek also keeps in line with its invisible cable system as the rear brake uses a centerpull design — the cable pops out of the back of the seat tube. Since aero is the goal here, this design certainly delivers, but it has yet to be seen how user friendly this cabling system is for the masses. Let’s take the second to most expensive Madone model — the 9.5 Ultegra Di2 model — as an example to show what kind of components you can get standard for $8,000. The 600 Series OCLV Carbon, KVF tube shape, BB90 bottom bracket, Invisible Cable Routing, E2 tapered head tube, IsoSpeed, Aero 3S chain keeper, carbon dropouts, and KVF full carbon fork are all included in this model. The wheels are Vision Metron 40 LTD with Bontrager R3 Hard-Case Lite, 120tpi, Aramid bead, 700 x 25c tires. 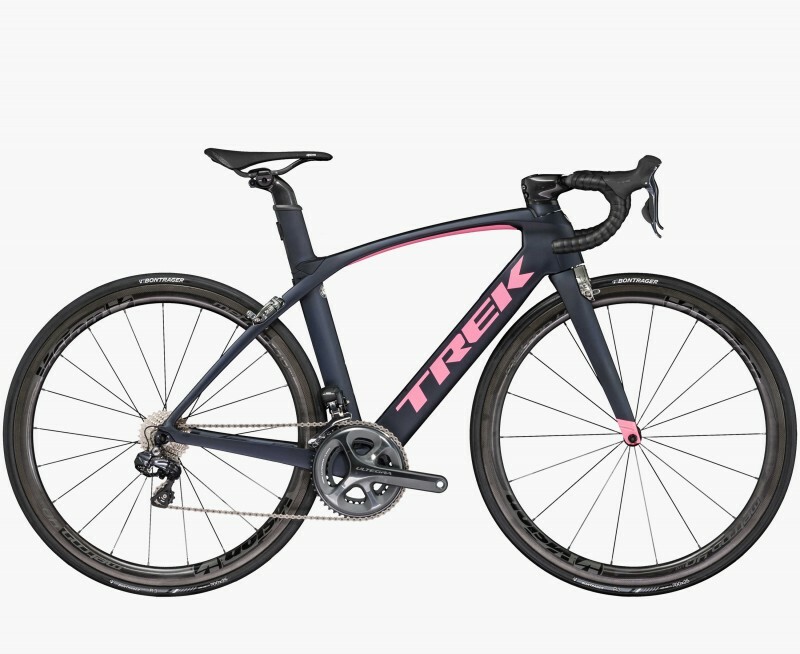 Also available for $8,000 is the Madone 9.5 Women’s model by Trek. This model features just about everything that the men’s 9.5 Ultegra Di2 model above has in terms of component parts, except it is optimized geometrically and aerodynamically for women endurance riders. The saddle that comes standard, of course, is different as well and is a Bontrager Ajna Pro. It is marginally lighter than the men’s bike at 7.39 kg / 16.29 lbs. However, beyond the standover looking only slightly different, this women’s model is exactly the same as the 9.5 Ultegra Di2. If you are an extremely serious rider, you may be interested in making one of the Madone models completely your own. 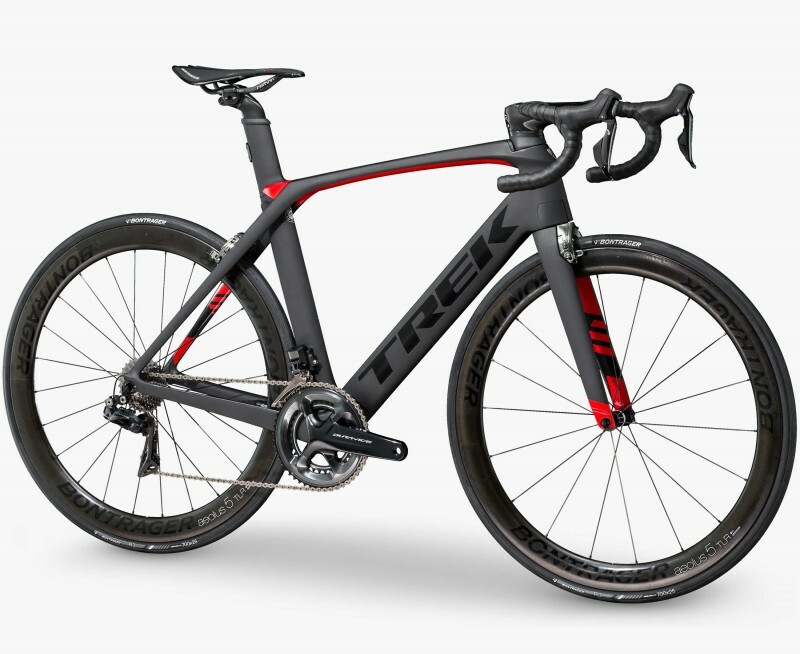 Trek offers complete customization from top to bottom through Project One.